Welcome to Châtelaillon-Plage for a break in total tranquility near La Rochelle. Enjoy an unforgettable encounter with rejuvenating glow of the Atlantic Ocean. Our attentive team guarantees a luxurious stay at our boutique hotel. At the gateway to La Rochelle, poised on a natural terrace overlooking the islands of Ré, Aix and Oléron, La Grande Terrasse allows guests to become one with the ocean. The rooms and suites reflect its unique environment. The exceptional restaurant invites guests to enjoy a precious moment with carefully conceived gourmet cuisine that is bursting with flavor. At the heart of the hotel, prioritize your wellbeing at the Nuxe Spa. We are here to help with everything you need as you discover the ocean. Choose one of our rooms as your base at the gateway to La Rochelle. Ranging from 205 sq. ft. (19 m²) to 237 sq. ft. (22 m²) with balcony or terrace and views of the landscaped garden or the ocean. We have the perfect room for your stay on the coast. All our rooms boast radiant brightness, a harmonious blend of fine and natural materials, and soothing blue and sandy tones. 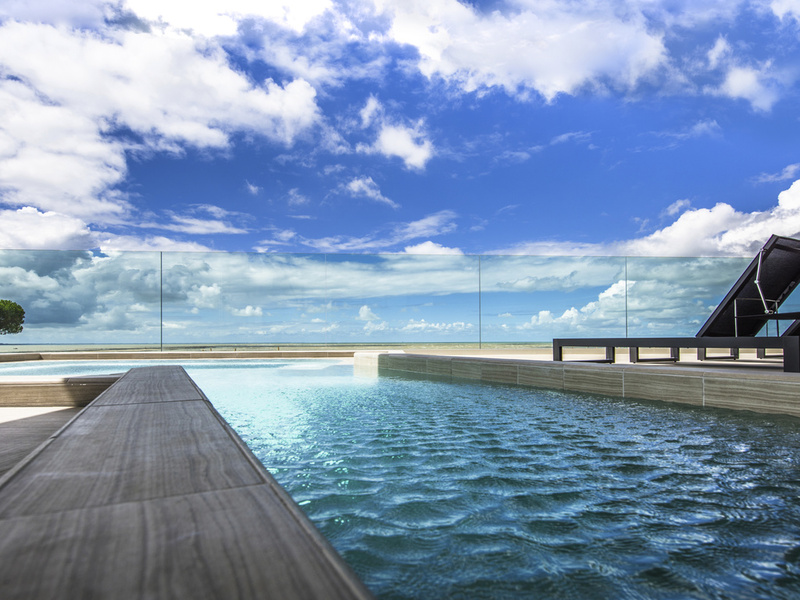 All room categories include access to the Nuxe Spa and seawater spa.